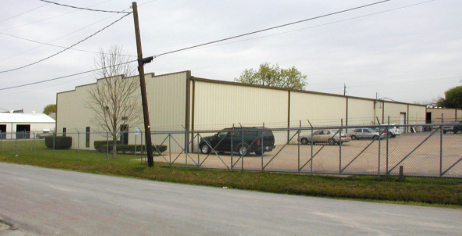 Houston, TX, February 7, 2019 – NAI Partners’ Industrial Group recently arranged the sale of 6407 Eppes, a 25,200-sq.-ft. warehouse in southeast Houston. NAI Partners’ Chris Caudill and Darren O’Conor represented the seller in the transaction. For more information, please contact Larry Koestler, Vice President of Marketing & Communications, NAI Partners at 713.629.0500. NAI Partners is the 5th-largest Houston-Area Commercial Real Estate Brokerage, the #1 Mover of Square Feet among leasing and sales brokerages, the largest independently owned and among the largest owner-operated commercial real estate firms in Houston, Texas, per The Houston Business Journal. NAI Partners was founded and is headquartered in Houston and has offices in San Antonio and Austin; offers the geographic expertise to complete real estate transactions throughout the state of Texas; and can leverage the power of the NAI Global network to arrange deals in any location throughout the world. NAI Partners employs more than 100 real estate professionals, and arranges more transactions than any of its competitors, completing over 500 commercial lease and sale arrangements every year. NAI Partners is a full-service firm offering client leasing and sales solutions in the areas of office tenant representation, office landlord representation, industrial tenant representation, industrial landlord representation, landlord services, retail services, property management, investment sales, an investment fund, and project management, among other services. The company has been named a Best Place to Work by the Houston Chronicle, Houston Business Journal and Austin Business Journal, and is among the University of Houston’s Cougar 100 Fastest-Growing Companies. Commercial real estate in Houston, Austin and San Antonio. NAI Partners offers full-service commercial real estate solutions to Houston, Austin and San Antonio, and has been serving the Houston commercial real estate needs of its clients for more than 20 years. We specialize in finding office space, industrial space and retail space, and can arrange an office lease, industrial lease or retail lease for your company. Our brokers help tenants and landlords or property owners of any size find the perfect real estate space or location for their business needs. For more information, contact us today.